Have a construction project to complete within a tight deadline? With Wisconsin transmission line construction services reserved by FairLifts, complex projects are made easier for utility companies, contractors, and municipalities. Helicopters have made the installation of transmission lines, heavy lifting, site inspection, logistical transport, and wire stringing a less cumbersome task. By combating conventional methods, the use of helicopters reduces the tear-down and setup costs of utilizing a crane. This way, helicopter services help contractors work safely and quickly around towers, conveyors, and chillers. Working on high rise rooftops has also become a reality – all because of the convenience provided by helicopter services. Wisconsin is surrounded by striving businessmen who aim to see this city reach the top by the end of 2022. Add to that the fact that numerous construction projects are underway, thus, contributing to the economy of Wisconsin. Some of these are Wisconsin Sports Center, the North Tower Expansion, Marquette University, and the Froedtert Procedural Platform to name a few. This rapid, ongoing progress of this city is what makes Wisconsin the most attractive place to work in – especially for contractors seeking utility installation for larger construction projects. There are numerous Wisconsin transmission line construction opportunities for you. 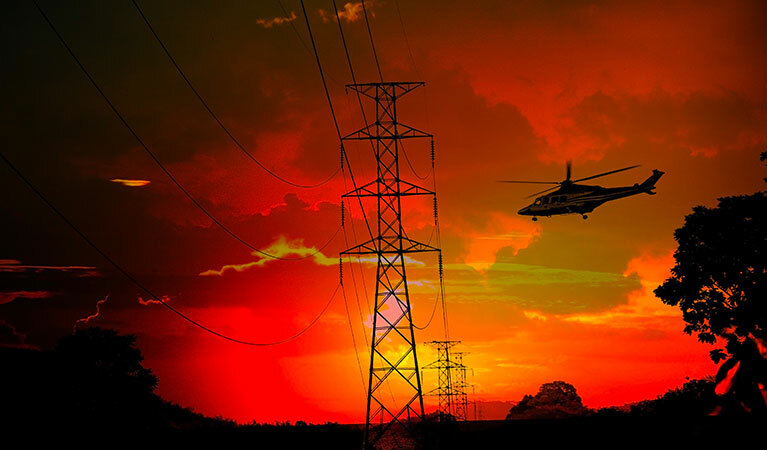 Grab those and ensure its timely completion by reserving helicopter support for transmission line services. Since getting the work done via helicopters is faster, more convenient, and highly effective, you can get a competitive edge in your projects. A qualified team of helicopter operators will fulfill your specific requirements and make it a hassle-free experience for you. Even if you already have the crew but you are in need of the high-quality aircraft, FairLifts will arrange logistical transport for you. Heavy lift helicopters will also help you lift heavy equipment to remote locations and high elevations. Read on to learn more. Heavy lift helicopters use cargo hooks, rigging, and cables to transport the necessary materials required for tower construction. The end result is a carefully constructed tower on which the Wisconsin transmission line construction can be done. FairLifts makes this easier by contacting a team of helicopter specialists who can responsibility take care of the external load and heavy lifts. Aerial stringing of wire can only be performed with the right collaboration of an experienced pilot and an expert lineman. If the lineman successfully repairs an electric line, the work is done. However, this requires the lineman to be consistently near the transmission tower. This is made easily more possible if he suspends from a helicopter. Plus, stringing wires with the help of helicopters reduces the time taken for Wisconsin transmission line construction from weeks to a few hours. The remote regions of Wisconsin do not usually comprise of passable terrains which is why transmission line construction helicopters may help make utility pole installation a reality. With the help of skilled electrical pilot, pylons and transmission towers are transported to remote locations. This way, poles are installed on the ground via helicopters without intruding the environment. Gone are the days when ROW and site inspections took several weeks to complete. Now that helicopters have made this task precise, you can reserve helicopter services for delivering closer inspection in terms of uncovering property damage, removing debris, and checking if there are any materials that have been left behind. Helicopter inspections also enable you to check any inconsistencies in towers and poles, conductors, insulators, and other hardware. Previously, Wisconsin transmission line construction was a complex project because the ground crew and the linemen who were instructed to construct the towers and string the wires had to travel long distances to the main location. This was a waste of time as well as money. Now, FairLifts can reserve helicopter services, so your entire crew can reach the exact location in a timely, hassle-free, and cost-effective way. Constructing transmission lines, hanging insulators, stringing wires, and lifting heavy equipment has just got quicker and convenient via helicopters. Utility companies and electrical contractors looking for helicopter services should take assistance from FairLifts. We are proud of our agents who offer 24/7 availability and support to our customers. Contact us today and benefit the most from the reservation.